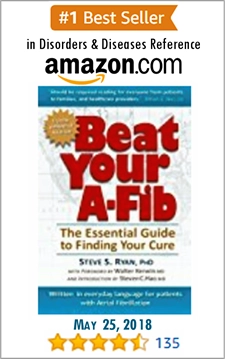 Doctors have several technologies and diagnostic tests to aid them in evaluating your A-Fib. Your doctor will likely make use of several from this list. Blood tests check the level of thyroid hormone, the balance of your body’s electrolytes (i.e. potassium, magnesium, calcium, sodium, etc. 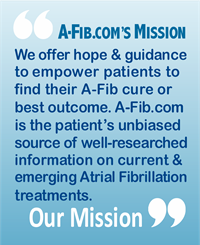 ), look for signs of infection, measure blood oxygen levels and hormone levels, and other possible indicators of an underlying cause of Atrial Fibrillation. Blood tests can also reveal whether a patient has anemia or problems with kidney function, which could complicate Atrial Fibrillation. An Electrocardiogram (ECG or EKG) is a simple, painless test that uses up to twelve sensors attached to your body to create a graphical representation of the electrical activity of your heart. The standard ECG records for only a few seconds. 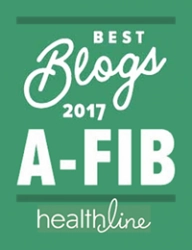 It can only detect an A-Fib episode if it happens during the test. For a longer period of time, a portable ECG monitor is used. NOTE: For an in depth explanation of the ECG/EKG waveform signal and how to “read” an ECG tracing, see my report Understanding the EKG Signal. 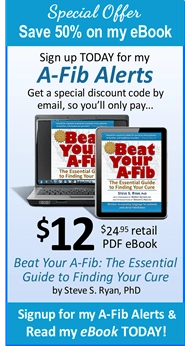 Those with occasional A-Fib (Paroxysmal) may not experience an A-Fib episode during their ECG. 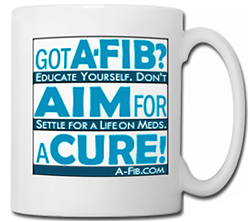 So, doctors have other means of capturing your A-Fib data. A Holter Monitor is a small, portable recorder that’s clipped to a belt, kept in a pocket, or hung around your neck and worn during your normal daily activities. The leads from the Holter Monitor attach to your body like the sensors of an ECG. The Holter Monitor records your heart’s electrical activity for a full 24–48 hour period in hopes of capturing data during an A-Fib attack. An Event Monitor is similar to a Holter Monitor, but records data only when activated by the patient. Pressing a button saves several minutes of data preceding and several minutes afterward. Some event monitors start automatically when they sense abnormal heart rhythms. You might wear an event monitor for one to two months. VIDEO 2: Zio Patch in use. An Implantable Monitor is a type of event monitor without wires that’s inserted under the skin through a small incision. It’s used for patients with infrequent, unexplained fainting or passing-out when other tests have not found the cause. The implantable monitor is used for up to a year or more. 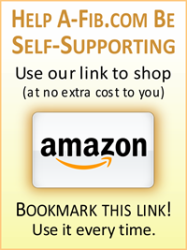 NOTE: For an in depth look at ECG monitors (including DIY/consumer heart rate monitors), see my report A Primer: Ambulatory Heart Rhythm Monitors. During a stress test, you walk (or jog) on a treadmill while an ECG records your heart’s activity. This is often combined with an echocardiogram before and after the stress test to view and measure heart functions. When the cause of dizziness, fainting or light-headedness isn’t detected by ECG or the Holter/event monitor, a tilt-table test may be performed. The table tilts the patient upright at a 70–80 degree angle for 30–45 minutes. As you are moved from a horizontal to an upright position, your blood pressure, heart rate and heart rhythm are monitored. VIDEO 3: The tilt table test. An electrophysiology study is a special catheterization test to examine the electrical activity inside your heart. It’s used to determine if and why the rhythm is abnormal. An electrophysiologist (EP) inserts several electrode catheters through the veins in your groin. Real-time images or moving X-rays (fluoroscopy) help guide the catheters into the heart. Once in place, the EP uses the catheters (and perhaps arrhythmia drugs) to artificially stimulate your arrhythmia. By recording data from strategic locations within the heart, most kinds of cardiac arrhythmias can be fully documented. An Echocardiograph uses ultrasound waves to create a moving picture of your heart. As special sound waves are bounced off the structures of your heart, a computer converts them into pictures. These images show the size and shape of your heart and how well your heart chambers and valves are working. Your cardiologist can locate areas of poor blood flow and previous damage, and areas that are fibrillating or not contracting properly as well as identify and measure deformations of heart chambers and thickening of heart walls. In this test, a tube with an ultrasound device is passed down through your esophagus. A clear image is captured of the heart muscle and other parts of the heart. As ultrasound waves are directed into the heart, the reflected sound waves are converted into pictures. The TEE is often administered just before an ablation to look for blood clots in your atria. If blood clots are found, anticoagulants are prescribed to dissolve them. ‘Cardiac CT’ uses an X-ray machine and a computer for detailed images of the heart and to make three-dimensional (3D) pictures of your heart and chest. The electrophysiologist uses them to perform catheter ablations inside the heart. A ‘cardiac MRI’ uses radio waves, magnets and a computer to create snapshots and video of your beating heart and can measure the amount of fibrosis (which can be a factor in A-Fib). X-ray images help your doctor see the condition of your lungs and heart such as fluid buildup in the lungs, an enlarged heart, and other complications of A-Fib. There are several tests your doctor may use to evaluate your A-Fib. A basic understanding of these tests helps you ask informed questions and discuss test results.